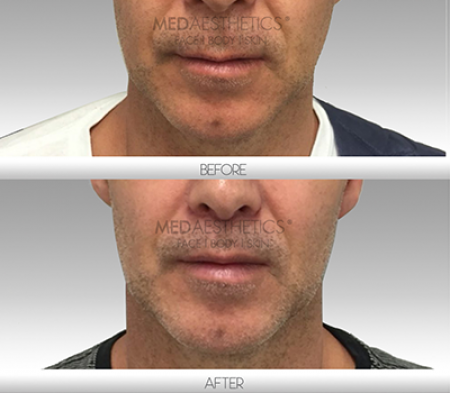 As we age, the portion of upper lip that lies between the nose and the lip border (vermillion border) tends to get longer ,flatter and contour-less, giving it an aged look. This is due to the progressive loss of collagen and elastin in the peri-oral skin, resulting in the obliteration of those characteristic youthful lip contours referred to as The Cupid’s Bow and Philtral Columns. In some people, this is genetic and not related to ageing process. 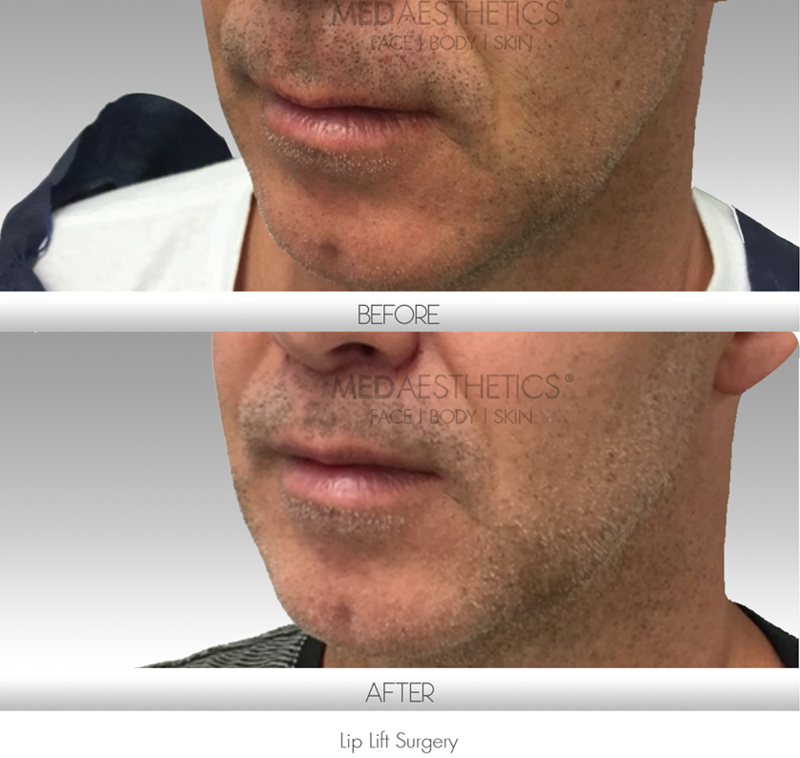 The Lip-Lift Surgery is a relatively small surgical procedure to address this problem and restore a more youthful look. Dr Ehsan Jadoon’s Patients (please click on the image). 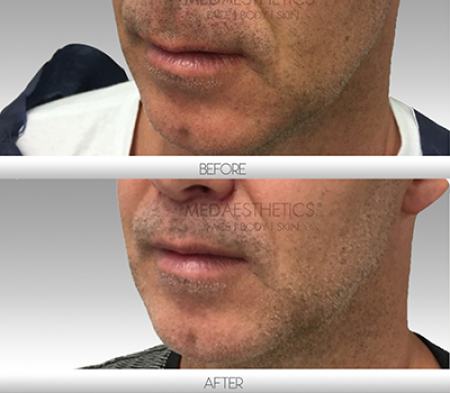 Upper lip shortening is a procedure where we remove about 3 or 4 mm of carefully marked, upper lip skin, just beneath the nose. This has the effect of shortening the distance between the nose and the lip border (vermillion) to give the upper lip a gentle “pout” and restore the “cupid’s bow”. Like upper eyelid surgery, the scar is hidden and is generally very well concealed. Initial swelling and bruising associated with this procedure is generally settled with in a week. The sutures are removed at the 5th day after the operation. Potential risks and complications are few and are discussed at the time of the initial consultation. Most patients are able to go back to work within 7 days. 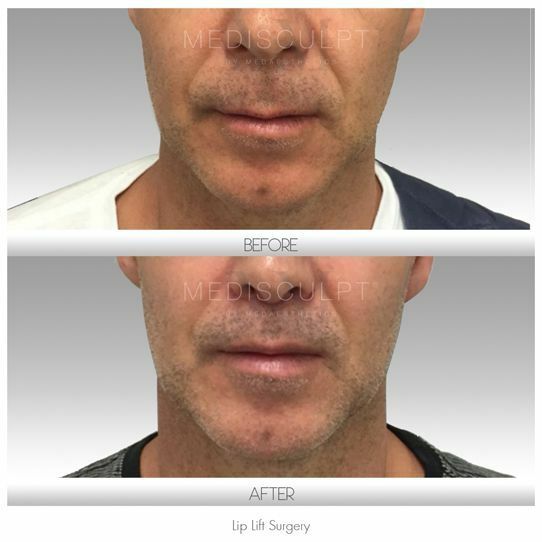 Upper lip shortening is an effective and relatively simple procedure to restore a more youthful appearance to the upper lip with a well concealed scar. It avoids the excessive “trout pout” appearance seen sometimes when fillers are used in this area. 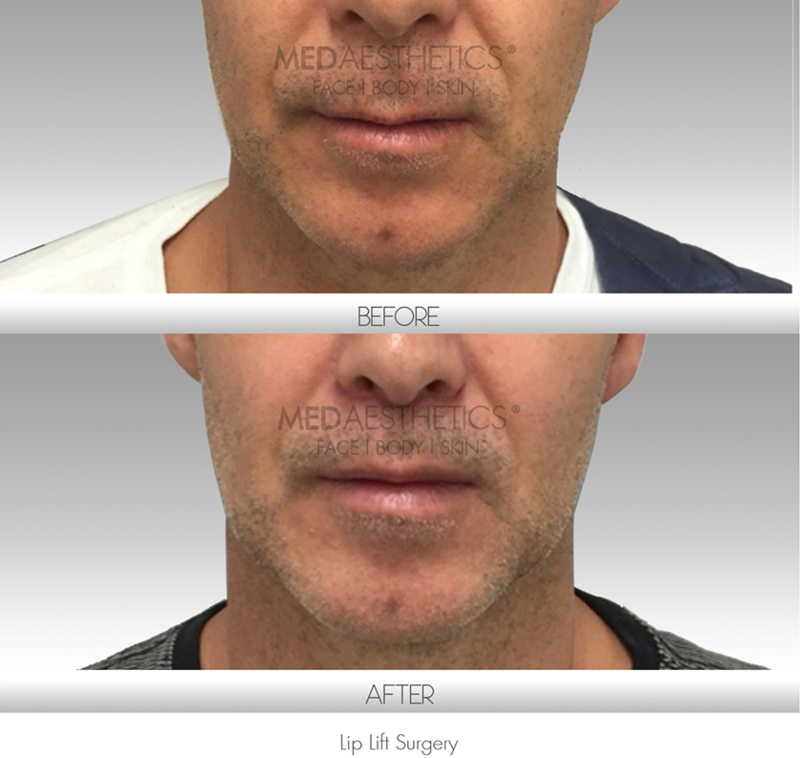 Cost of lip lift surgery is $3,850. The results last for 15 to 20 years. Note: We require a 2 weeks “cooling off” period after your initial consultation before booking any surgical treatment.